Don’t want to wear a veil? 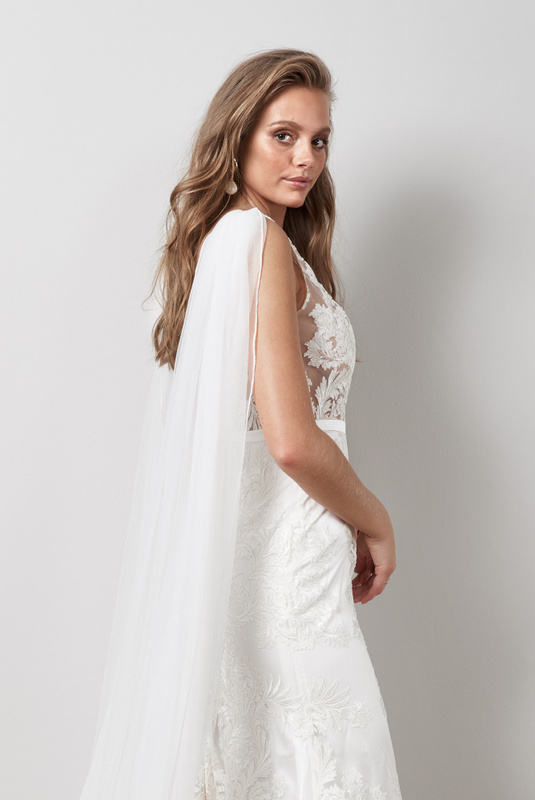 Our detachable tulle cape veil has a single layer detachable soft ivory tulle that can be attached and ordered to any of our gowns that has shoulder straps. 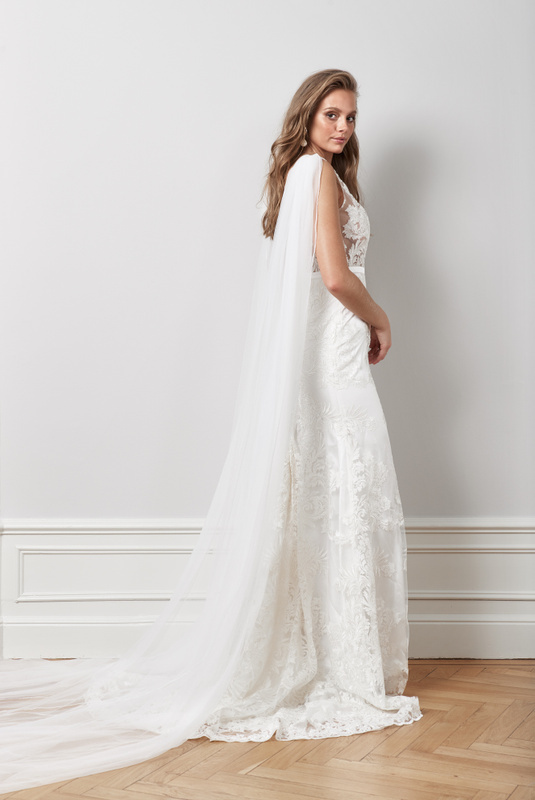 Wear it with our Selma or Vera gown to complete the look on your walk down the aisle.